The unique and distinctive Aeropods are made from aviation grade aluminum, engineered to fly at 30,000 feet and finished to the highest standards to the customer’s individual specification. The raw materials for these pods are provided by old commercial airliners which are destined for the scrap yard but are rescued by DappR just in time. The well engineered Aeropods are manufactured by upcycling a commercial airliner fuselage that would otherwise have been sent to the landfill. 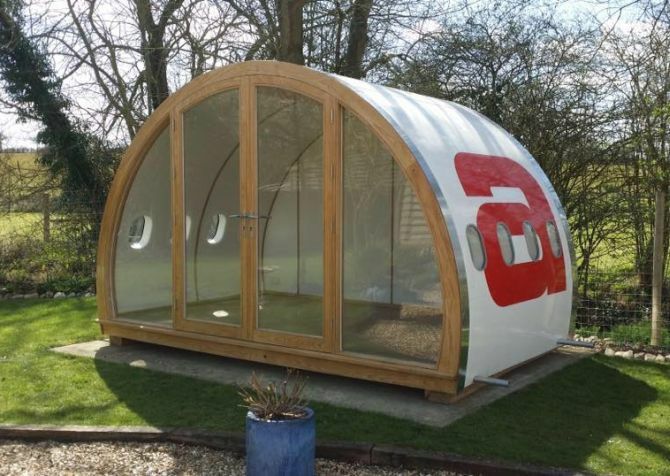 Designed specifically to customer’s brief and finished to the highest specification, the Aeropods are fully insulated and can be installed with electricity and water. Other options include heated floors and a wide range internal and external finishes as well. DappR can also strip the shell back to its original aluminum with a highly polished finish. Picking the airframe of an A320 Airbus or a Boeing 737, DappR cut the Aeropods to retain the original fuselage shell and insulation. They are then fitted with a highly insulated back wall and low emissivity glass doors. 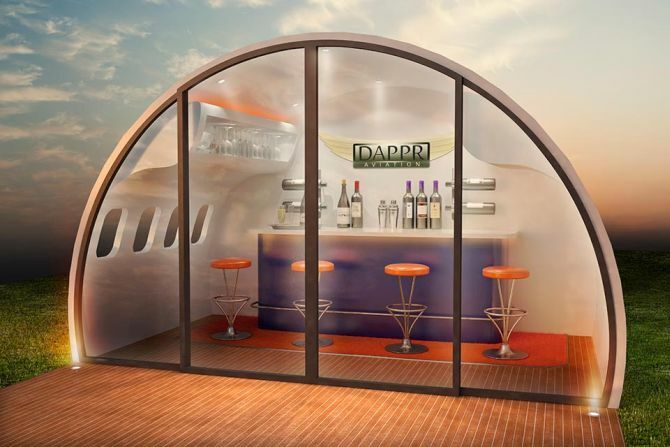 DappR Aviation can make Aeropods according to the requirements and specifications of the customers. 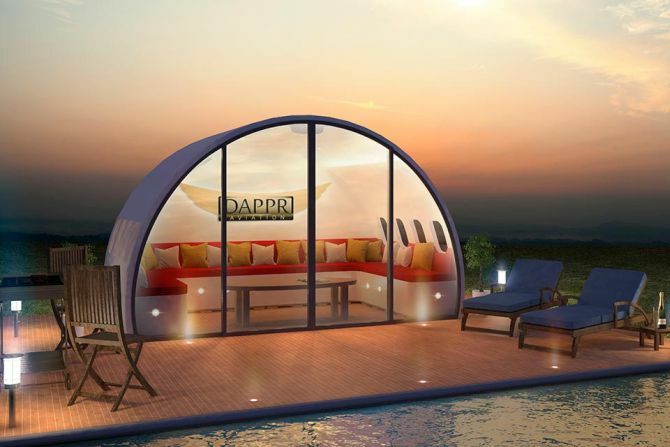 The multi-purpose Aeropods by DappR Aviation can be used as an office, a home gym, an outdoor kitchen, a home cinema or a pool side relaxation area. Well, if you are interested to get one, you can contact them via email or phone.